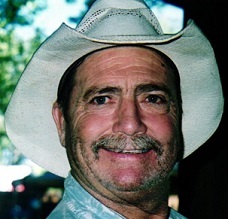 OVALO: Tony Lanar Elkins, 60, died Friday, November 17, 2017. A graveside service will be held at 11:00 am Tuesday, November 21, 2017, in the McBee Cemetery, Ovalo, Services are officiated by Burtis Williams and directed by Fry~Smith Funeral Home, Tuscola. Tony was born on December 27, 1956, to Robert and VonDean (Rose) Elkins in Abilene. He attended school in Tuscola and graduated from Jim Ned in 1975 after school Tony went to work in the oilfield. Tony Enjoyed a simple, country way of life. He loved the outdoors, going fishing, to waking up and opening his front door every morning to watch the deer graze in his yard. He loved his family dearly, stopping by his Mom and Dad's house every day for morning coffee, but most of all he adored his two sons, Colter and Garrett. He is survived by his sons Colter Elkins and fiancee Stephanie of Abilene, Garrett Elkins of Abilene; parents Robert and VonDean of Tuscola; sister Rene Reilly and husband Patrick of Dripping Springs; and one grandson Aden. May he now rest in peace with God.